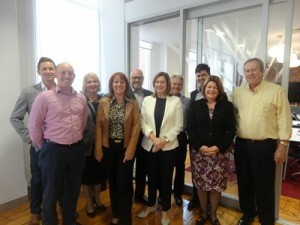 Destination Marketing Association International (DMAI) recently hosted a strategic-level workshop in Adelaide with AACB and its member bureaux to gather input for the DestinationNEXT scenario model and its phase 2 NEXTPractices. The workshop, attended by convention bureaux CEO’s, focused on the future of the global destination marketing industry. The DestinationNEXT vision is to provide Destination Marketing Organisations (DMOs) with practical, clear actions and strategies for sustainable success in a dramatically changing world. To learn more about DestinationNEXT, please visit www.destinationmarketing.org/topics/destination-next.